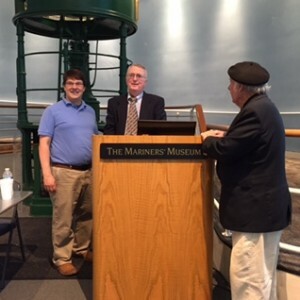 A very special thanks to Mark Arduini (in blue shirt) of the Mariner’s Museum for inviting me to speak in Newport News. Everything he and the staff did for me and Lillian was greatly appreciated. It’s people such as Mark who keep great institutions like this singular museum great.